Great 2017 Qatar Travel Festival deals! 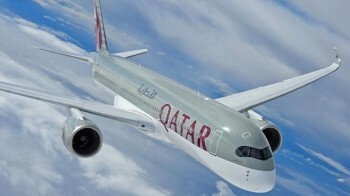 Qatar Airways has kicked off another round of good business class deals with its third annual ‘Qatar Travel Festival’. You have seven days to book – these deals end on 16th January. That said, availability is restricted and I wouldn’t wait if you are tied to certain dates. Note that you cannot travel between 15th June – 1st July and 15th August – 10th September 2017. Additional blackout dates apply in some countries. Check the minimum stay period which seems to vary from 4-7 days depending on where you start your trip. From the UK, kids under 12 fly for free, excluding taxes, if you book Economy. Full details of the Qatar Travel Festival can be found here. Here are a few of the better headline prices. These deals are all for business class travel via Doha. They are per person, based on two travelling – single travellers will pay a little more. In some cases a group of three will pay a little less. These prices EXCLUDE the additional discount for using the VISA promo code when booking. This discount does not appear to work for every flight. These prices are NOT the full list of discounts – they are just random examples I picked out last night. You can use the country links below to check out prices from other popular starting points. Stockholm seems to have the best deals, especially when two people travel. The German prices were filed late but will be here. These routes would all – apart from Dubai, Delhi and nd Australia – earn 560 British Airways Executive Club tier points return (140 + 140 + 140 + 140) due to the change of plane in Doha. That is more than 90% of what you need for a BA Silver card. Delhi is 140 + 40 + 40 + 140. Dubai is 140 + 60 + 60 + 140 as the connection books into First Class on a two class plane. As ever with Qatar, you should keep an eye on the aircraft. The most modern seats are on the Boeing 787, Airbus A350 and Airbus A380 fleet. I think that the full A330 fleet has been refitted now too. The newer planes have a 1-2-1 herringbone layout where passengers faces away from each other. The Boeing 777 aircraft are fully flat but have a different 2 x 2 x 2 layout, albeit that a replacement for this will be announced at ITB Berlin in March (we’ll be there to check it out). Qatar also uses short-haul planes on some European routes but these are configured with ‘proper’ business class seats. You can book your Qatar Travel Festival deals on this special site here. Remember to enter the promo code VISA for the additional discount. Is the Lloyds Avios Rewards credit card about to be dropped? Venice also has some excellent deals (as in the previous promos) plus is very easy in terms of positioning flights on BA. I had flights booked in an earlier promo but this one is even more aggressive – great timing as QR notified me of schedule changes on my existing itinerary today which entitled me to cancellation (with a full refund) and I immediately rebooked at lower prices. I have the following less restrictive 4x Qmiles offer rather than the one-day 5x offer. Join the celebrations with our fantastic discount fares. Exclusively for you, Qatar Airways brings you another exciting opportunity to earn up to quadruple (4X) Qmiles and save on flights. Book your paid ticket for travel to any of the more than 150 places we fly to and earn double Qmiles from now until 16th January 2017 for travel between 16th March 2017 and 15th December 2017. That’s not all, as a special gift from us; you will be eligible to earn quadruple (4x) Qmiles if you book your paid ticket during the Qatar Airways Travel Festival and travel between 11th January 2017 and 15th March 2017. To be eligible for this offer, select “My offers” on your dashboard menu and register for this offer before 16th January 2017. Don’t miss your chance to choose a dream deal to any of our amazing destinations.Please ensure you quote your membership number at the time of reservation or check-in to be eligible for bonus Qmiles. Should you have any queries regarding this offer, please quote the offer code: 1701PC120 when you contact our Member Service Centre. Terms and Conditions This offer is only applicable to Privilege Club Members main members. Booking period – Double Qmiles: 9th January – 16th January 2017. Flights must be taken between 16th March 2017 and 15th December 2017 for the double Qmiles offer. Booking period – Quadruple Qmiles: 9th January – 16th January 2017. Flights must be taken between 11th January 2017 and 15th March 2017 for the Quadruple Qmiles offer. To be eligible for this offer, members must register at qmiles.com before 16th January 2017. Members whose travel date is before 16th January 2017 should register at least 24 hours prior to travel. Bonus Qmiles will be earned over the base Qmiles earned on Qatar Airways flights during the offer period. Tier bonuses, promotional bonus Qmiles and family accrued Qmiles will not be taken into account in the calculation of the offer bonus. Bonus Qmiles is calculated based on the combination of Booking Date, Flight Date, Cabin, Fare Family Purchased and Booking Channel. Offer is applicable only for flights marketed and operated by Qatar Airways. In case of overlapping campaigns member will get highest bonus Qmiles. Any reason not to book these fares via Amex travel if the VISA code is not working? Amex bills in £ and earns points which my Post Office fx free card doesn’t. Presume Avios and TP would not be affected? I did and also got £50 back. Just booked from Lon to Auckland and the Visa code gave nothing which is disappointing as I could have used my BA Amex card had I known. It did display “Visa promo” and on payment then only offered Visa . Would have been better if the discount logic was available to see in advance. Also if you try and book Business Class the limit is one month, anything longer gives you far higher prices. I called and had this verified although no reason could be found. Nothing for me to get to HKG for a wedding in Oct – still £2.2k in bus. Now I just have to work out where to credit it to! Where/how did you find “Stockholm to Hong Kong – £965”? Post says J for 2 people. The link in the article to the Swedish website shows that price (in SEK) as available, per person, for a return but based on two travelling together. Availability will be getting tight as we are now 36 hours into the sale but if you play around for dates later in the Autumn you should be able to prove to yourself that it is working. I’m booked – we couldn’t decide between Seoul and Auckland but went for Auckland in April/May. The sweet spot for our dates was out from Oslo, back to Stockholm. Layovers perfect at ~2 hours each way, B787 on the European legs. Priced out at £2660.70 for 2. Expected earnings 30020 Avios + 600 TP each. Nice price – a simple OSL out and return to AKL came to ca. £2880 for 2 for me (ca. £1440 pp) which I was quite pleased with to get all the way to NZ in comfort. We’ll head to OSL the night before and have a morning and some lunch in Oslo before heading off, which I am also looking forward to! Ammar, which trail finders offers? Is it on Amex? Not letters complete our booking anytime, think it may be we are abroad. Bummer. £200 off £1000 but hit registration limit quickly. Thanks, unreal probs trying to book out here. Not even getting to the payments page! Finally, after 1hr and 47m on skype, God bless it’s, to QR polish centre, got our flights sorted. Got the ph no if anyone needs to store it. Best ever secret ph no it’s an 020. Seems like QR doesn’t like iPads nor Samsung phones. So it’s Hel to Hkt to Hel. Looking forward to our mini city break there. £960 pp and just 1-2 hr transfers so well pleased, plus best planes all sectors. She even booked our seats. Row 2, in case they ran out of brut or nice food by row 3 dansky! Ha ha. Someone mentioned Seuol up thread. We found good fares ex BUD, return to various places including Paris on A380. Not sure I can be bothered with the effort for an economy ticket. What would UK taxes be? For example – an economy promo price LHR to Seychelles for £646, of which £286 is tax… A long way from free. Booked for ARN-CPT return for two @ £1200pp and also won Qatar gold status in their price draw so pretty good value. Have been looking at their economy pricing last few days. Just bought 2x tickets from MAN-HKG, SIN-MAN for £678, thanks to Amex Travel cardmember offer, £50 off £200 spend in Amex Travel. The VISA code was only saving about £15 at this end of the plane. Both Qatars website and Expedia were more expensive than Amex Travel. Happy days. Just about to book ARN-DXB £2264 for two adults and a 3 year old…..oh and the 18k AVIS avios have posted …..result for £39! These deals look fantastic but I’m a bit hesitant about the dates….Why only travel until the 15th of December? Do you guys think there will be a sale for travel over the Xmas break? Are those deals generally as good as this one currently? Is it worth waiting for another sale / when would that be? You rarely get sales covering Christmas until very late in the year. OT somewhat, but I had yet another reason to thank you for running this website which I wanted to share. Last year, for no real reason, I decided to match my BA Silver to Alitalia’s scheme (thanks to the blog). I got Freccia Alata Plus, but had no real benefit from this given I never fly Skyteam. I then planned a trip to Vietnam and decided to use Turkish – realising they were doing status matches. I matched my Alitalia card and got Turkish Gold (Star Alliance Gold for 1 year, and looking to extend to 2). The lounge access helped immensely during our layover in Istanbul, and we upgraded on the leg out to Hanoi which was a token of customer service the likes of BA have never offered me (I was Gold for 2 years and Silver for the subsequent 2 – must’ve been upgraded once). I wish nothing but decline and mayhem for BA. Anyway, rant over. Thanks for providing insight into the loyalty world.